However, I have opted for the former in light of the fact that in almost all languages, ancient or modern, the perfect participle passive deviates in its orthography from the nominative, as is also the case with Mycenaean Linear B, English and French above. It is for this reason that kirita2 (kiritai) = “delivery” (nominative) & kiretana = “(having been) delivered” (perfect participle passive) are more tenable than pa3ni (nominative) & pa3nina (perfect participle passive), of which the nominative and perfect participle passive share the exact same prefix, pa3ni, at least in my judgement. The question still remains, what do pa3ni (nominative) & pa3nina (perfect participle passive) mean? I shall have to see if I can tackle that problem later on. This brings the total number of Minoan Linear A terms I have managed to deciphered more or less accurately to 68. The likelihood that these two terms are correctly deciphered is very good (> 75%). 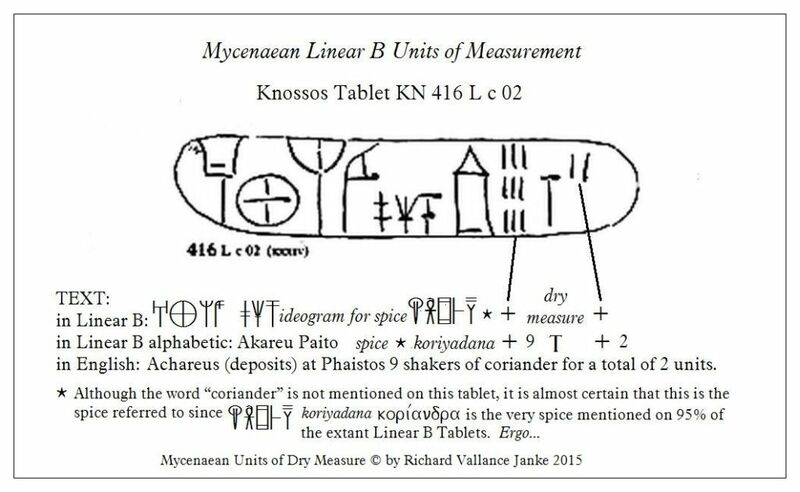 What possible value can these 3 tablets in Mycenaean Linear B serve as indicators of similar terms or activities on Minoan Linear A tablets? For the time being, the words kirita2 (kiritai) and kitai are utterly undecipherable. I have not the faintest idea what they mean. It is remotely possible that kitai may mean “delivery”, given that the number of olive oil (whatever) is 30. So conceivably we might be dealing here with the delivery of 30 units or amphorae of olive oil. But then the problem is, how do we know what the 30 units of olive oil refer to, in the absence of any word on the tablet other than kitai related to olive oil? On HT 123+124, kitai might conceivably mean “delivery” or it might mean something else, such as “amphora”, which could make sense in the context, where it could possibly mean 30 “amphorae” of olive oil. But we cannot have it both ways. In the absence of a second word referencing olive oil, it is impossible for kitai alone to mean either “delivery” or “amphorae” both or God knows what else simultaneously . So we are trapped in a paradox which cannot be resolved. On the other hand, another “definition” of kitai may possibly be in reach, but only after we have translated a number of Linear B tablets, in order to compile a list of potential alternative terms or activities which might possibly serve as templates for the potential decipherment of  “corresponding” words on Linear A tablets. Possibly, but not probably, and more likely than not, never. The challenge is formidable. I have my work cut out for me. Moreover, the great number of permutations and combinations besetting any interpreter make the challenge much more intimidating. Here we have 3 more tablets from Knossos which specifically mention Cretan olive trees in Mycenaean Linear B. It would be nice if the word for “Cretan” in Minoan Linear A were similar to Keresiya (feminine here because it must agree with the feminine word erawa = “olive tree”. But Googling the Internet I have come up with nothing so far. This will make it very difficult to extrapolate the “correct” word for “Cretan” from the Linear A tablets on olive oil production, even though Kerasiya occurs as often as apudosi = “delivery” on the Linear B tablets. Linear B tablet KN 349 J b 12 displays the standard, formulaic text for delivery of anything, in this case, olive oil. 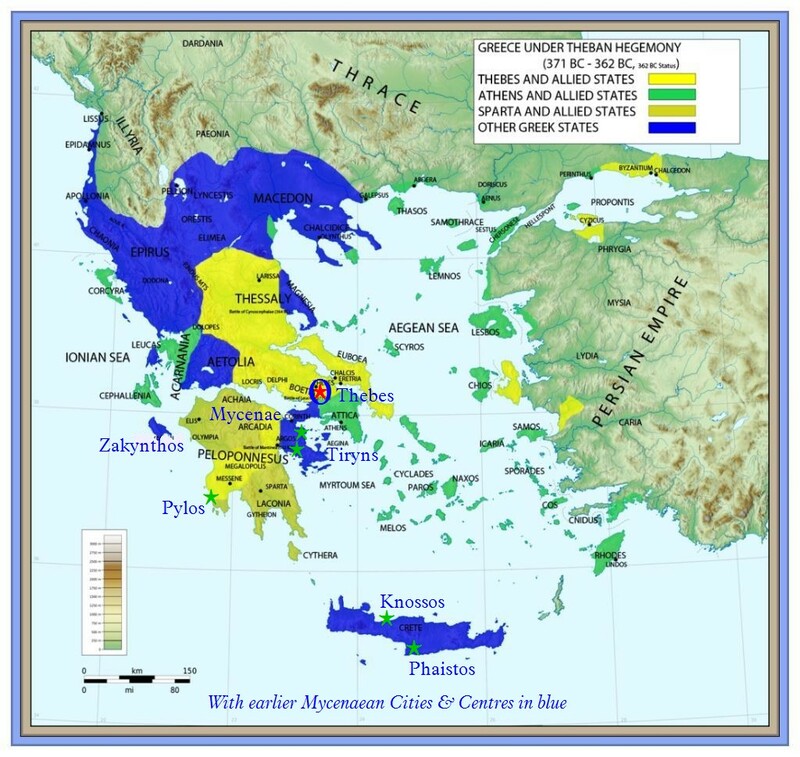 In addition, the destination, “to Lykinthios” (or “Lykinthos”, a major island in the Mycenaean Empire) is designated. Had the olive oil been delivered to Knossos, no destination would have been specified, as the Linear B scribes all took it for granted that any tablet mentioning delivery of any livestock (especially sheep) or any commodity (coriander, spices, olive oil etc.) without any mention of the destination was that it was Knossos by default. There was no point in their mentioning Knossos, since after all it was the capital of the Empire, and by far the largest city in it (pop. 55,000+, a huge city for the Bronze Age).